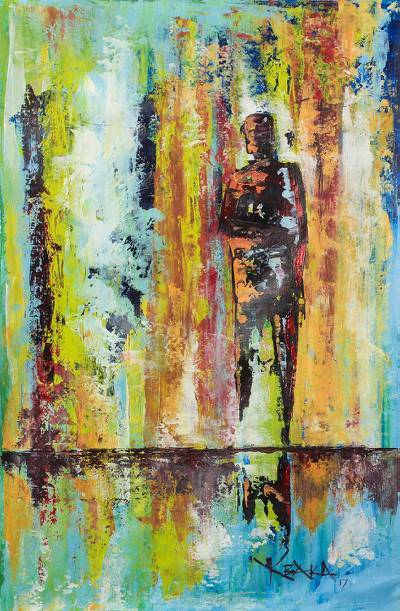 Signed Abstract Painting by a Ghanaian Artist, "Loneliness"
Inspired by themes of loneliness, Ghanaian artist K. Baka paints a composition that makes a striking addition to any space. Against colorful shapes, a single figure stands alone. Says the artist, "Loneliness is not when you don't have anyone with you, it's when you have everyone but not the one whom you want to be with you."